I spent most of the afternoon talking with folks about web mapping systems and how to choose a direction to go. What is painfully obvious when you start laying out the different frameworks, APIs and servers is that there is just no clear answer as to what system to pick. When it comes down to it, what you are really after isn’t the system itself, but the product the system produces. I talked a little about the different marketing direction I was taking last month, and this is partly it. It isn’t so much as abandoning one product for another as some had written in the comments, but more looking at the systems as a whole. 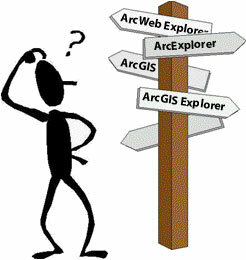 Web services are web services, no matter if it is ESRI, Google, MapServer or even Manifold running the server. There is one constant that I’ve noticed in the past 2 years is that the server behind the product has very little to do with the quality of the product users see. You see users don’t care that it is Google, .NET, open source or even Manifold. They just want their experience to be useful. Of course you may say it is easy to sit back and not worry about servers when you are in a IT structure that may dictate that you go one route or another. That is a huge reality in the for many implementors but it shouldn’t stop you from focusing on the end product and not on the server. As I was on the airplane flying to New Orleans this morning I was thinking about where GIS application developers would be in the next 2 years. Now don’t start flaming me yet. I do realize that hosted web services aren’t possible for everyone or even wanted. But as this space grows beyond the traditional users of GIS, you’ll start seeing organizations wanting to get the power of maps with their products, but not have to worry about hardware, software or datasets. We’ve seen this with so many companies using Google Maps and Virtual Earth in basic web applications, but with the development of GeoJSON I think we are going to see much more integration of hosted web map services with existing business models. Hosted web services is just the logical next step when you are not interested in the server itself, but the services that it provides. We’ve seen tons of innovation in the Amazon Web Services space so we probably need to keep one eye out there as well. I’m interested to see how this all plays out.